The Great War mod for Close Combat 3 The Russian Front has been cleaned up. This was done in part to standardize the downloads section and make mods easier for players to install. File naming standard has been applied. Duplicate and obsolete files removed. All custom campaigns, operations and battles that were made since Great War came out have been added to the main plugin. The maps required for those scenarios have been added to the map pack. The scenario readme.txt files have been added to the main readme.txt file. Diggin' Robat's French and British music sound mods have been converted to plugin as wells as Pops' music mod. For anyone new to installing plugins refer to the install guide linked below. Tim's old site The Dugout still exists. Its one of the oldest Close Combat sites still maintained. All original Great War files can be downloaded from The Dugout. Tim also hosts the CC2 Great War mod. On May, 14, 1948, the United Nations proclaimed the foundation of the tiny Jewish state in Palestine - Israel. This very day, all Arabian countries announced a war to Israel till utter annihilation. Armies of Palestine, Syria, Jordan, Egypt, Saudi Arabia, Lebanon attacked Israel simultaneously from different directions. It seemed, Israel had no chances of rescue. And it seemed so many times again. Since then, during about 60 years war between Arabs and Israelis goes on in the Middle East. Each new armistice serves as a new war preparations. In wars 1948-1982 Middle East became testing area of the newest weapon. USSR, the Warsaw agreement, the Great Britain, the USA, Germany, France sold weapon to one or another side. And sometimes both to Arabs and Israel simultaneously. Despite of huge advantage of the Arabian enemies, Israel has managed to win, or, at least, not to lose in all these wars - in 1948, 1956, 1967, 1973, 1982. The mod CC3 "Valley of Tears" (CC3VoT Beta), by Demiurg, is devoted to these particular battles. This mod is a stand alone install, which means you do not need CC3 installed in order to play it. In CC3VoT there are dozens of kinds of weapons and combat vehicles from the period 1948-1982. The combat vehicles and weapons in this game are made maximum authenticity. All Vehicles/Weapons have been carefully calculated. While working out the mod, the program code for Close Combat 3 has been changed! Due to this, CC3VoT works with huge maps - 1000x1000 meters ("RtB-size", 4800x4800pix)! Any other game of Close Combat series (CC1, 2, 3, 4, 5) does not allow fighting on such big maps. Some of the new weapons systems include heavy mortars, rockets, new airstrikes, helicopters, anti-tank missiles, recoilless guns, amphibious tanks and many other things. Having amphibious vehicles, you can easily cross water obstacles and attack an enemy on the opposite bank! Big maps allow bypassing the opponent imperceptibly from flank. Even AI does miss this opportunity! Demiurg's readme file contains everything you need to know. Der Ost Front 2 (The East Front 2) has been published by ArmeeGruppeSud. There have been many upgrades and changes since DOF1 was released. DOF was originally based off of Real Red and has since evolved into its own mod. DOF2 focuses on historical accuracy, blended with playability. It is best suited for H2H play which feature huge campaigns. 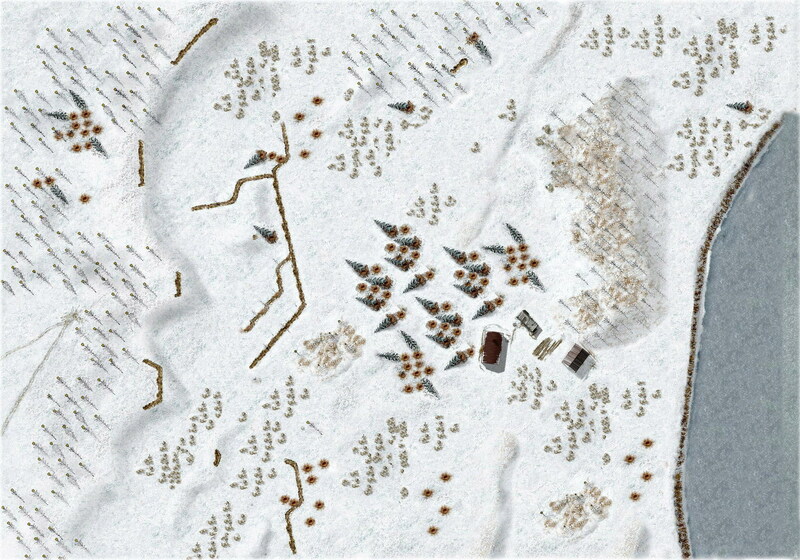 All the battles, ops and campaigns are based on historical battles fought actually on the East Front. You will find new graphics, vehicles that correspond to the timeline of the battles and many new heavy guns and tanks. Extreme detail has been given to the sounds. For instance, a tank and an ATG that use the same gun, will have 2 distinct sounds. Also, burst sounds from rifles and mgs correspond to the number of rounds fired. Some new ideas were introduced by Amreegruppsud like being able to upgrade your snipers into Platoon/Group leaders. Combined with the flexibility to downgrade and you will be able to spend every req point you have. CC5 players who try this out will instantly recognize much of the territory, maps from Stalingrad and other mods are used here. The same dedication and attention to detail that we see in CC5 GJS, in shown here in DOF2. I think any CC gamer will appreciate this mod and enjoy it. The link below will forward to the download section. You will see 6 main plugins, a large map pack and the individual maps download section. Each plugin contains a readme.txt for info and installation instructions. For more screenshots visit the DOF2 screenshot gallery. 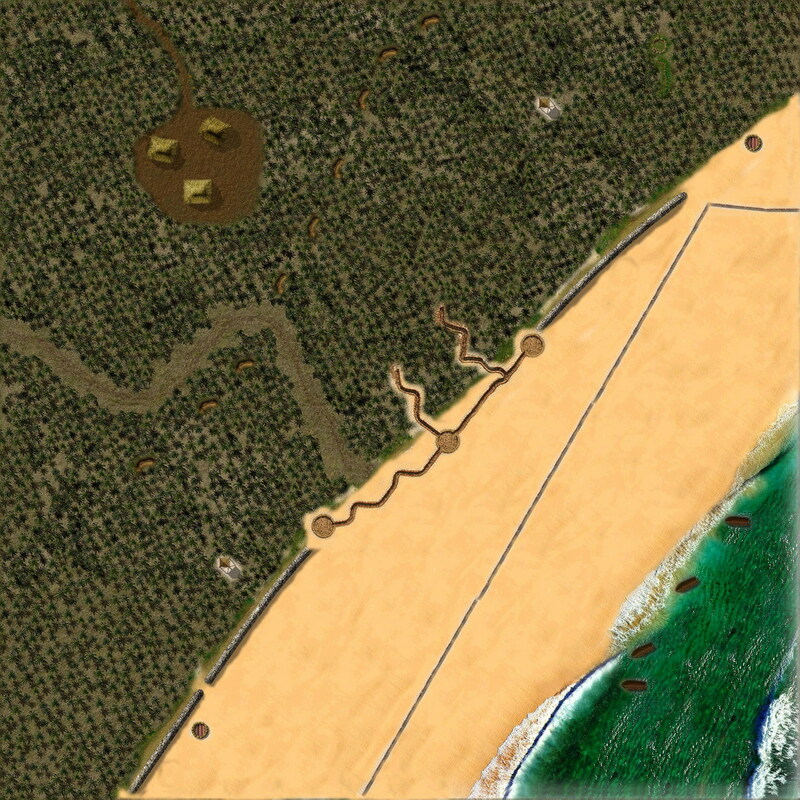 DAK_Legion has created 2 new CC3 maps. Makin1 and Voljov can both be downloaded here. To play them, copy them to your C:Program FilesMicrosoft GamesClose Combat IIIMaps folder and create a scenario. Check out the map previews below. MMMC3 has recently been added to our downloads. Massive Multiplayer Campaign for CloseCombat 3. From the readme.txt... MMCC3 is a project designed to create massive multiplayer CloseCombat3 enviroment. No turns, no command structure. Just connect and play any time you feel like. You will keep your own units from one game to the next. You can change sides anytime. Many people will be able to fight as germans or soviets for the ultimate victory - annihilation of the other side! You can create your own campain WestFront, Desert, Korea - anything!Up to 10 people can play simultaneously in the same campaign. Download the multiplayer version or single player version. Visit the MMMC3 homepage http://home.san.rr.com/apiotrow/MMCC3/ for more information and different campaigns to play. Grossdeutchland has updated his mod, Grossdeutchland from 1.2 to 1.4. From the readme.txt... "I have replaced the mod´s original soundfile with the one in RR-X v2.0 and then I have add an edited german voicefile and my music for eastfront mods. New in this version is that I have add my medals from RR-X v2.0 (I actually forgot to do that with v1.0). I have also changed some of the german unit- names to look better when playing. They are still historicaly correct after what I have read. Its best to say that I have nothing with the original mod to do. That is Dreaded88´s stuff but you can see GD-X as a kind of upgrade. It has taken me years to finnish my two mods to what they are now." Download Grossdeutchland 1.4 & the map pack. The map pack is unchanged from the last version. To see the mod check out the screenshot gallery. Armeegruppesud writes... "G'day CC3 fans. Finally, the upgrade to the DER OST FRONT mod has been completed. DOF2 comes in plugin form for your mod manager. Unlike DOF1 it has been placed inside a zip so no renaming needed. There are 5 other DOF2 plugins, 2 submods for playing the AI from either side, a H2H plugin for those who want H2H play with lots of armor. Though the default CampOps are good for H2H if you like infantry orientated battling. There are 2 plugins for the win/loss music. One for playing as German and the other for playing as Russian. Download it here, CSO Site downloads page."